The Dodgers are on the verge of landing another import from Cuba. This time, it’s right-handed pitcher Yaisel Sierra. Sierra, 25, is set to get a similar deal to what fellow countryman Raisel Iglesias received from the Reds a couple years ago (7 years, $27 million). And both have somewhat similar profiles. Confirming @JonHeyman's report on Cuban RHP Yaisel Sierra and Dodgers. It's a 6-year deal in the $30-$33 million range. Assuming this is a Major League contract, he’ll need to be added to the 40-man roster. I’m guessing Alex Guerrero and Josh Ravin shouldn’t feel too comfortable right now. Baseball America in April ranked Sierra as the 14th-best prospect in Cuba. He has control/command issues, but the arm talent is there. Eric Longenhagen of ESPN said Sierra’s fastball is in the 92-97 MPH range (translated: sits 92-95, tops out at 97). He added he also has flashed a 55-/60-grade slider. If the Dodgers need an immediate impact, they can have him pitch out of the bullpen while hoping he can develop into something more down the road. Here’s what Hudson Belinsky of BA said about Sierra after a showcase in Jupiter, Fla., in October. “Sierra threw 34 pitches on Thursday, including 19 fastballs, 12 sliders and two changeups. His average fastball velocity was 94.7 mph, and the pitch peaked at 96 multiple times and once dropped to 91. Sierra had outstanding command of his fastball down and to his glove side. He also had command of his slider in the same spot. Sierra’s slider broke with very late two-plane movement, and he ran it away from righthanded batters consistently, and the pitch showed the ability to compete in the strike zone. Sierra threw what appeared to be a changeup twice. The pitch had more vertical movement than his slider, and did not have overwhelming fade, though he did hit his spots with it. Here’s what Jheremy Brown of Perfect Game had to say about Sierra after the same showcase. “He came out and immediately showed what the scouts and directors were hoping to see as he warmed up steadily at 92-93 mph in the bottom of the first before sitting 94-95 while bumping 96s in the next two subsequent innings. The velocity was what you were hoping to see but it was how he generated it and the command he showed of it that were just as noteworthy. Sierra worked with a full arm action through the back side before coming to a traditional three-quarters arm slot while consistently getting on top of the ball which not only allowed him to fill up the strike zone but work both sides of the plate. Pitching mostly of his mid-90s four-seam fastball, Sierra also mixed in a handful of two-seamers in the low-90s that featured late running life that could get in on the hands of righthanded hitters. Showing some whip to his arm action at release Sierra showed little problem holding the velocity over his three innings and looked almost as though he was gaining steam each inning, working to his glove side well and continued to missed bats with his slider that showed plus. He’s a mixed bag. Sierra struggled in Serie Nacional (Cuba’s professional baseball league). In 300 career innings, he posted a 4.23 ERA, 1.49 WHIP, 5.0 BB/9 and just a 6.6 K/9. 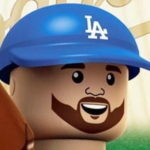 He pitched primarily out of the bullpen (131 games, 25 starts), but Dylan Hernandez tweeted and said the Dodgers would develop him as a starting pitcher. Honestly, this sounds like the same approach the Dodgers are taking with the recently acquired Frankie Montas. Both have good-to-great fastballs and good-to-great sliders. The lack of a third pitch is a concern for both, but Montas has much better command/control. Here’s some video of Sierra. The stuff and potential are absolutely there to be at least a middle-of-the-rotation starter. If he can’t stick in the rotation, a late-inning power reliever looks likely. His future will be determined by how he takes to professional instruction, the development of a third pitch and how much his command/control improves. At 25, he won’t be babied through the minors. I could see him getting a low-level assignment to get his feet wet before jumping to Double- or Triple-A quickly. If all goes right, he could find himself in Los Angeles at some point this season. If that happens, it’ll likely be out of the bullpen. But the Dodgers aren’t about to commit $30 million to a 25-year-old pitcher only to have him be a reliever. He will be given every opportunity to start. Since Sierra is older than 23 and played at least five seasons in Serie Nacional, he isn’t subject to international signing restrictions. He doesn’t count toward the nearly $100 million (with penalties) the Dodgers have committed to international prospects since July 2. Good signing. There are a lot more lottery tickets out there, and the Dodgers have until June 15 to sign as many (or as few) as they want. This will not be their last big international signing.